It’s almost time for pumpkin spice lattes and fall bowling leagues! Grab two of your friends, family or neighbors and sign up for GRC’s Sunday Funday Mixed League! The fall fun starts on Sunday, October 7 at GRC! 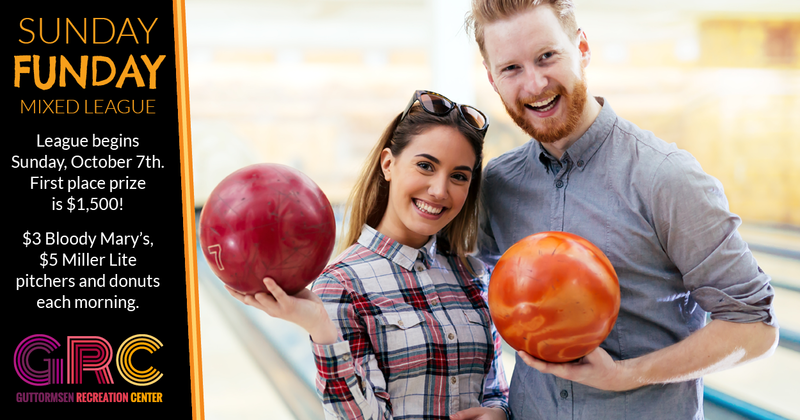 This popular league features: 3-person teams; bowling starts at 9:00 a.m. and runs for 16 weeks, every other Sunday. Donuts are served every morning! Bloody Marys and pitchers of Miller Lite available for purchase. The first place team takes home $1,500! Second place is $750 and third place is $450. Contact GRC today to reserve your team’s spot: 262-658-8191.